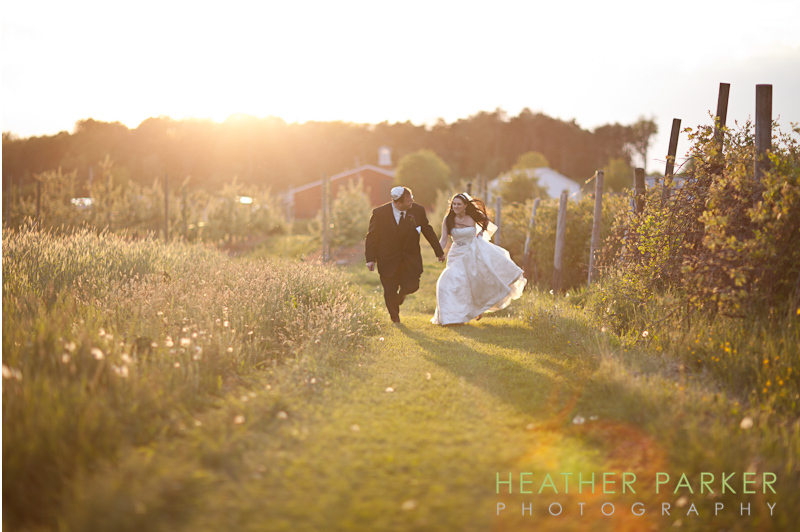 Ashley and David at Smith Barn on their wedding day! Here’s how they connected! Robbie & Karen got married at Smith Barn. Another bride named Annie flipped though the pages of The Knot Magazine and saw their wedding I shot. She recognized Robbie from Hebrew school, and hired me to photograph her wedding on Martha’s Vineyard at the Allen Farm Sheep & Wool Co. Annie married Pete, and the Rabbi David who officiated the ceremony contacted me to hire me to photograph his marriage to Ashley. Their beautiful wedding took place at the same barn where Robbie and Karen held their ceremony and reception. I can only presume someone at Ashley and David’s wedding will be getting married at the Allen Farm Sheep & Wool Co. to keep this awesome circle going!